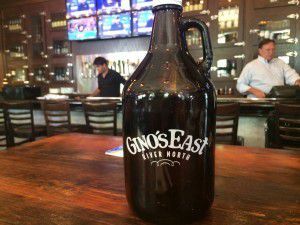 Join us on the evening of Thursday, March 5 at Gino’s Brewing Company for the first of many beer dinners and events to come. Meet brewmaster Kevin McMahon and enjoy a 4-course meal with 10 oz. beer pairings. We’ll be pouring our first four brews and matching them with items from our menu (and a few surprises). Yes, there will be pizza, but expect more as well! Plus, at the end of the meal you’ll get a pint of your favorite brew of the bunch! Sign up here to secure your spot!